Kabali is an upcoming 2016 Indian Tamil-language gangster-drama film written and directed by Pa. Ranjith.The film stars Rajinikanth as the title character, whilst Taiwanese actor Winston Chao, Radhika Apte, Dhansika, Dinesh Ravi, Kalaiyarasan, and John Vijay star in other pivotal roles. Principal photography for the film began on 21 August 2015 in Chennai. While filming mostly occurred in Malaysia, smaller scenes were shot in Bangkok and Hong Kong.The film is slated for release on 22 July 2016. 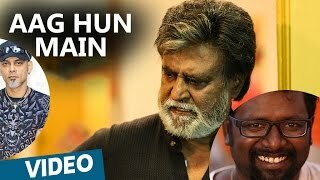 When will Rajinikanth come back to India for Kabali ?